Turin is a city in northwestern Italy. It is a major center of the Piedmont Region and perhaps the largest industrial and industrial center in Italy. Turin is located mainly on the west bank of the River Po, as well as two other rivers - Dora Riparia, and Stura di Sangone. Turin is considered the gateway to the Italian Alps. With a population over 900 000 it is the fourth largest city after Rome, Milan and Naples. Furthermore to being a large industrial center, Turin is an extremely interesting cultural center where you can see many attractions- ranging from traces of Egyptian influence to the intriguing museum of cinema. Football is one of the largest sports of Turin, the birthplace of two football clubs- Juventus and Torino. Turin is the birthplace of solid chocolate and vermouth. In the 18th century Turin was the world capital of aperitifs. In Piedmont hills and the foothills of the Alps grow many herbs and the smart businessmen Alessandro Martini and Luigi Rossi created a drink called vermouth. While other Italian and French cities have long been involved in the race for the center of the bar, the superiority of Milan and Turin continues to this day. Here are produced the car brands Fiat and Lancia. Turin is the city of colonnades, which seem to be everywhere. The city has streets, many squares or piazzas, arches, columns, baroque buildings and beautiful riverside views. The first existing car is born as a transformation of a carriage of the royal court, equipped with a steam boiler with coal, with which Captain Virgilio Bordin made a tour of Piazza Castello 07. 05. In 1854. Torino in Italian means little bull and not surprisingly that animal is the symbol of the city. 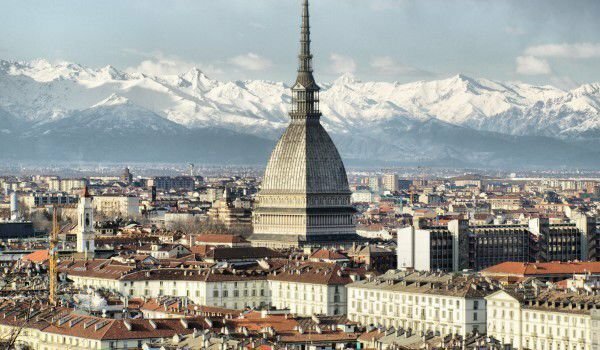 The name of Turin comes from the Celtic word "tau, " which means mountain. It is assumed that the city was founded sometime around 28 BC when the Romans established a military camp in this place. In the Middle Ages after the collapse of the Roman Empire, Turin was conquered in turn by Lombards, Franks, House of Savoy and others. Turin was the first capital of united Italy, but has the historical consciousness of a city of many cultures. In Turin there are so many arches and columns that you would not believe it. The total length of streets and sidewalks covered with arches (promenades) is 24 km. Among the sights of Turin is a fascinating museum of Egypt (Egyptian Museum of Turin), which is the second richest after the one in Cairo and only in Europe dedicated exclusively to Egypt. It can be reached with a slight detour from the famous square and a huge castle. There is an exceptionally beautiful temple of the Gran Madre di Dio, built on the foundations of the temple of Isis. Three Catholic churches in Italy bear the name of the Mother of God, whose influences came from Egypt and possibly the Middle East. The two female statues to the temple Gran Madre di Dio symbolize faith and religion. The left figure holds in its left hand an item interpreted as a Grail. Researchers at the Technical University of Turin calculated that if you follow the direction of gaze of the woman with the Grail, leads to the Palazzo di Città. The Turin Cathedral, Duomo di Torino keeps a shroud of Jesus Christ. The cathedral John the Baptist is a religious symbol of Turin. It is located on the back of the stunning Palazzo Reale. CARIGNANI palace is now a museum of the unification of Italy. This baroque palace was built in the late 17th century and has witnessed the birth of the Ifuture first king of Italy - Vittorio Emanuele II. in 1820 here took place the first parliamentary session of the united state in 1861, when Turin was the first capital Italy - just three years later it was moved to Florence. Along with Lyon and Prague, Turin is considered a place of the good and holy - white magic, while London and San Francisco - of Satan and evil, namely black magic. It is interesting how Turin became the center of the two extremes. Turin is accepted worldwide as a magical place for various reasons - here you can see many symbolic figures of dragons, dogs, lions, found in various locations like squares, streets, churches, gardens and bridges. Porte Palatine is a place in Turin, which is a huge square, leading into the largest open market in Europe. Mole Antonelliana is a former synagogue, which now houses the most important museum of cinema in Europe. The tower is 167 meters high oals and is a symbol of Turin. It is believed that this was the tallest museum building in the world.